Endovascular stenting is mainly required for treating different diseases like aortic aneurysm and aortic dissection. 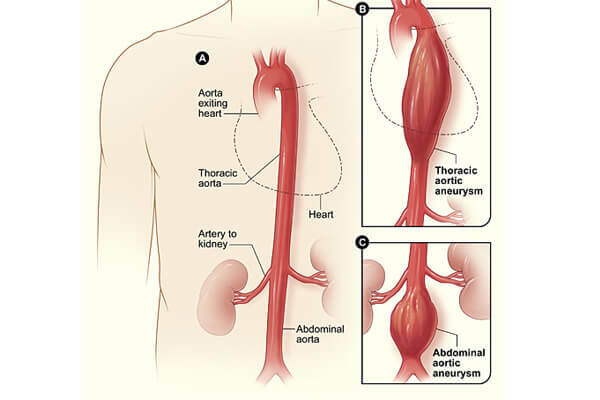 Aortic aneurysm is a condition where the aorta, which is the largest blood vessel become weak. The formation of bulges in the aortic wall which carries blood along with oxygen from the heart to other parts of the body is referred to as aortic aneurysm. It is recommended to treat aortic aneurysm before it burst open. The bursting of aneurysm can directly lead to death of the individual. Aortic aneurysm is generally treated with aortic stenting procedure. Aortic stenting is a minimally invasive procedure used to treat patients suffering with aortic aneurysm. Aortic stenting is also called as endovascular stent grafting. A stent graft prevents the aorta wall from rupturing. The endovascular stent is placed with the help of a thin long delivery catheter. Deliver catheter is a plastic tube that contains the compressed stent graft. The catheter is inserted in the arteries present in the leg region near groin with the help of delivery catheter. Imaging methods are used that helps thesurgeons to monitor the delivery catheter to the area of aneurysm. After the successful placement of stent graft the surgeons removes the delivery catheter from the vessels. The stent graft placed in the aorta prevents the bursting of the aneurysm and thus avoids the complications. If you are suffering with aortic aneurysm or aortic dissection you must consult Dr. Abhilash Sandhyala, Endovascular surgeon in Hyderabad. Dr. Abhilash is a vascular specialist in Hyderabad who is known for performing complex and risky procedures with a high success rate.